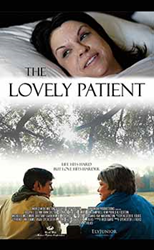 World Wide Motion Picture Corporation Releases Film, The Lovely Patient, on DVD and VOD. A portion of proceeds from The Lovely Patient, a feature film concerning Male Breast Cancer, will be donated to the United Breast Cancer Foundation. One reason for the high mortality rate for men is they’re not encouraged to be screened for breast cancer. The United Breast Cancer Foundation is pleased to announce support for the release of World Wide Motion Picture Corporation's feature film, The Lovely Patient. A portion of the proceeds from screenings and film sales will benefit UBCF. The film, now available on DVD and VOD, helps increase awareness of the often overlooked disease Male Breast Cancer. The United Breast Cancer Foundation (UBCF) serves women, men and families affected by breast cancer. In 2014, according to the National Cancer Institute 2,360 men were diagnosed with breast cancer and 430 died. UBCF’s mission is to make a positive difference in the lives of those affected by breast cancer. That’s being carried out every day through life-supporting patient and family programs, which are open to women, men and families across the country. UBCF services anyone, regardless of age, race, gender, ethnicity, income or medical insurance coverage. If you’re a woman (or man!) in need of a breast screening or other breast health services, please visit UBCF at http://www.ubcf.info or call toll-free, 877-822-4287. Founded in 2000, the United Breast Cancer Foundation (UBCF) is a national nonprofit organization whose mission is to make a positive difference in the lives of those affected by breast cancer. UBCF offers the community patient and family programs dedicated to breast cancer screening and prevention, treatment and patient health and well-being. UBCF educates the public on a variety of breast cancer issues: coping with breast cancer, family support, environmental awareness, dietary options, complimentary therapies, research, and prevention. http://www.ubcf.info 877-822-4287. If you’d like to make a tax deductible contribution to the United Breast Cancer Foundation for support of their Mission and Programs, please visit our secure website, or mail your donation to UBCF, 205 Depot Road, Huntington Station, NY 11746. You can also include UBCF in your Combined Federal Campaign support - #77934. UBCF gratefully accepts tax deductable property and vehicle donations. The proceeds of your vehicle or property donation will fund UBCF’s mission and programs. Call toll-free, 1-888-433-6207 to set-up your donation today.